Further details to follow but please confirm with your captain your availability to help with marshalling this event, or contact Steve Kinsella. 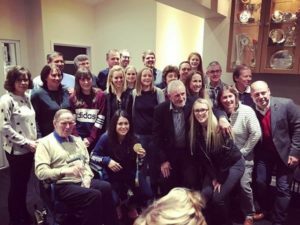 The refurbishment and extension to the Phoenix Sports Clubhouse was officially opened on Friday 20th January by Olympic gold medallist, Sam Quek. Organised by the Phoenix Club Committee to celebrate the opening of the new extension to the clubhouse, the evening was attended by representatives from all the sports sections associated with Phoenix as well as representatives from club sponsors. Sam was a member of the GB team who beat the Netherlands to secure GB’s first women’s hockey gold medal in the Rio Olympics. She is now back playing national league hockey for Bowdon Hightown, but took time out of her busy training schedule to help celebrate yet another milestone in Phoenix Club’s development. Originally planned to provide improved facilities for lady members, the extension project rapidly increased in scope to include a complete rewiring, as well as new lighting, flooring and heating plus a new lobby with increased storage space. 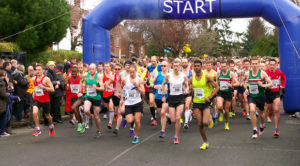 Phoenix chairman Richard Ollerenshaw praised the fund raising efforts of club members and particularly thanked the Wilmslow Half Marathon committee for its continuing support. Copyright © 2017. Powered by ActionCloud. Designed by myThem.es.